I hope you're enjoying this detailed look at 19th-century pasteurisation. I know I'm not. Deathly dull stuff. You'll be pleased to know that it ends here. Some really boring stuff about the layout of the various pipes first. "The steam and cold water pipes join each other like the letter V. The hot water enters at right angles about a foot below this junction. The three run by a common pipe into a perforated pipe lying on the bottom of the trough below the false bottom. This pipe is 40 inches long and eight inches in circumference. It is pierce with thirty 0.5 inch holes ten on each side and so placed as to force the water against the sides at an angle of about 40º. Of course the perforated pipe being plaaced in the centre of the box causes a current through all box. These perforated pipes are placed about 6 feet apart. The manager does not consider this arrangement the best. If he was constructing a new one he would prefer smaller pipes placed at shorter intervals. The lenth of the boxes is nearly 18 feet." 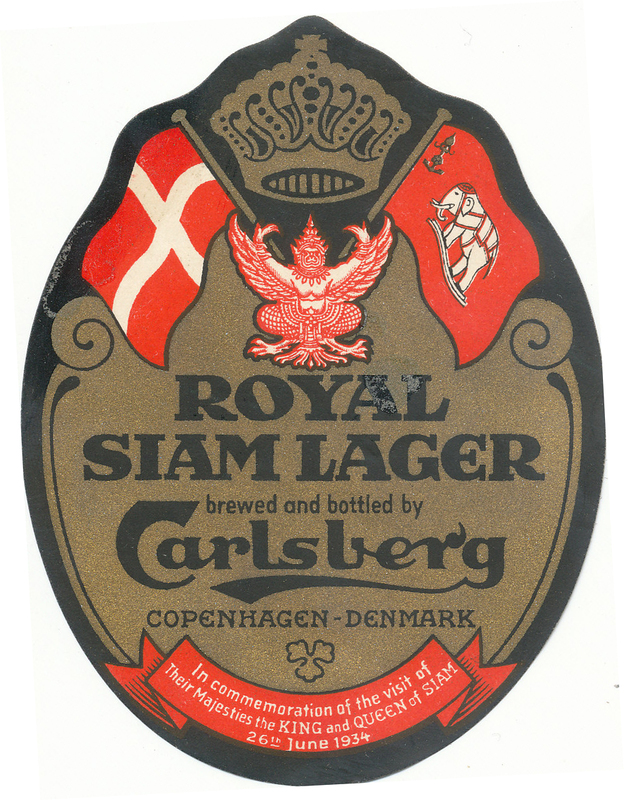 "Notes of a visit to the breweries of Messrs. Jacobsen Senr. & Junr. Copenhagen Sept 1881." held at the Scottish Brewing Archive, document number WY/6/1/1/11. 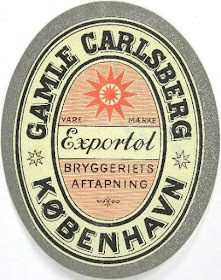 I realise now why William Younger had sent people to go out and look at Carlsberg's brewery: they'd just started brewing Pils at their Holyrood brewery. There was another trip in November and December to a Lager brewery in Plauen so obviously they were taking research very seriously. I bet you can guess what I'll be boring you with next. It seems that pasteurising caused a lot of broken bottles. Obvious enough , really. Rapid heating and cooling of glass is likely to lead to it cracking. "Their breakage seems mostly at the first heating and the first of the cooling. The average loss in broken bottle in 1880 was quart 2.47% pints 1.52. This is the percentage for pasteurisation only. The loss through carelessness in every other operation is 0.3%. This incidental loss is greater when the bottles are not pasteurised. Mr. Jacobsen Sen. says that the perecenatage of bottles broken in the pasteurisation process is always larger as the glass is darker. The paler the colour of the bottle, the breakage is proportionally less and with reason. He has got bottles from various parties. Some makes give double the breakage of others. He has also got the bottle blowers to try and darken the glass like the colour of home beer bottles but whenever the colour approached the black bottle the breakage was so high they were compelled to discontinue their use. When bottling beer to be pasteurised one must be careful not to fill the bottle very full so as to leave room for an air receiver? between the cork and the beer. This is to contain the liberated gas and also to allow for the expansion of the beer when it is at its maximum temperature." Why on earth would darker bottles be more likely to break? Seems odd. 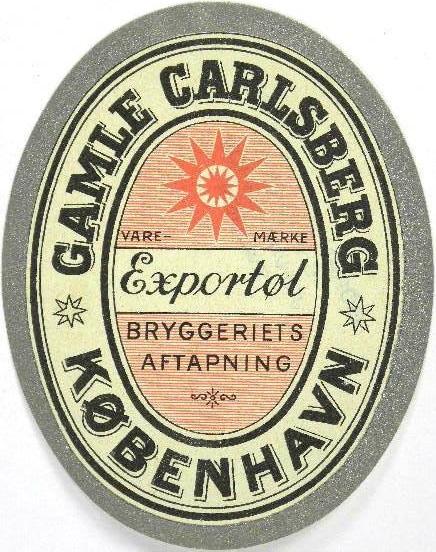 The implication from this next passage is taht not all of Carlsberg's beeer was pasteurised. "They never bottle beer for pasteurisation under six months and they prefer it from 9 months to one year old. They bottle it the whole year round. Mr. Jacobsen Sen. & Dr. Hansen say that the heat is only sufficient to retard the development of yeast by lessening its normal activity and not at all by killing it. In judging of the suitability of a bottle they put great stress on the uniform thickness of the glass. The bottom being very little thicker than the side of shoulder." I suppose they wanted the beer to be fully matured before they killed, was the reason they left it for so long before pasteurising. Though it's clear that the proceess didn't really kill all the yeast. Which beer wasn't pasteurised? My guess would be the beer that was put into casks. If bottles are breaking due to heat shock then the pasteurisation temperature must be more than 44ºC. Maybe whoever was taking notes misheard or didn't write it down properly; maybe they're using a different temperature scale; maybe the geezer from Carlsberg was yanking their chain for a laugh. 144ºF would be about right. So would 44º Rømer but it's not likely they'd still have been using that scale. 44ºC can't be correct. I hadn't thought of that: it could be Réaumur. 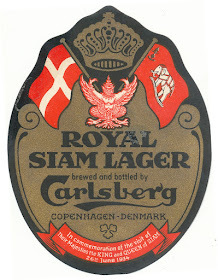 German breweries still used it in the late 19th century. That would make more sense. 44º R is 55º C.
I wonder if the breakage of the dark bottles was due to impurities in whatever they were using for the colour causing the glass to be more (comparatively) fragile? Now we just need a BJCP profile for Scottish Pils: "Traditionally moderate to low hop flavor or bitterness. Some fruity esters permitted. Light peat flavor characteristic of the style. OG: 1.080-1.105."